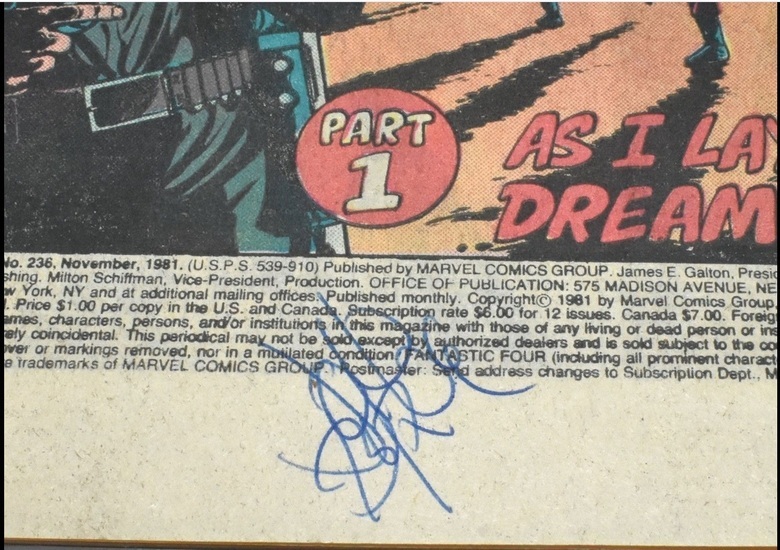 Speaking of signatures, does this look like a John Byrne legit one? Good luck trying to figure that out. Byrne sigs are all over the place. What does Shatner charge for his signature? 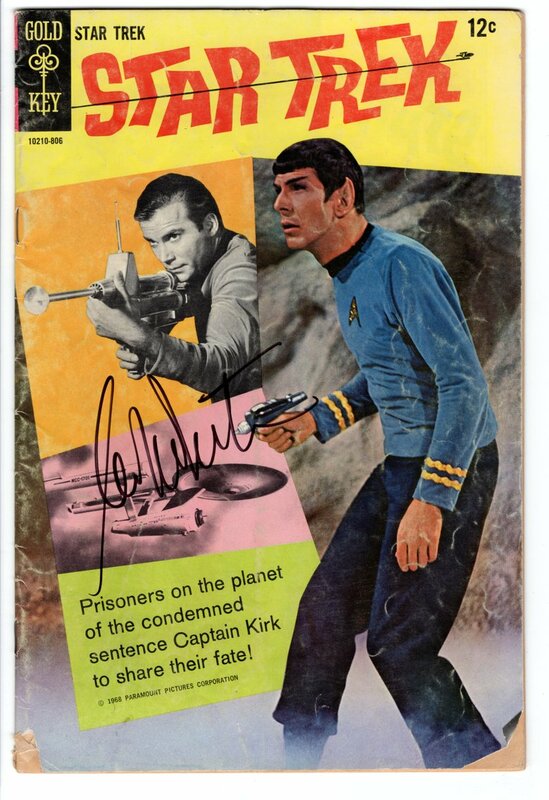 I had him sign the back of Star Trek #1 (the photo back cover from the 60's) - is at home but I think it was 5.5 might press up a point if I sent in again. got a megan levens sketch on Bristol of kirk from The Wrath of Khan but couldn't find a blank cover to save my life and will pick up at the con in march from her, but waist up and in color. 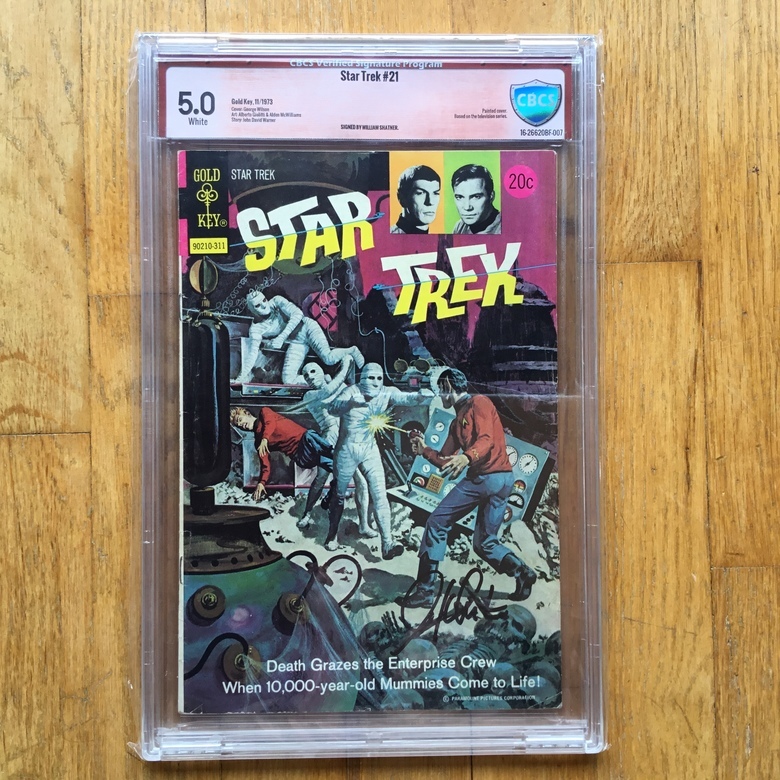 also the dc star trek number one 9.6 cbcs yellow label with perez. and I think it will also be the marvel number one. and also thinking of the cover proofs of either tekwar and/or my enemy my ally paperback covers. 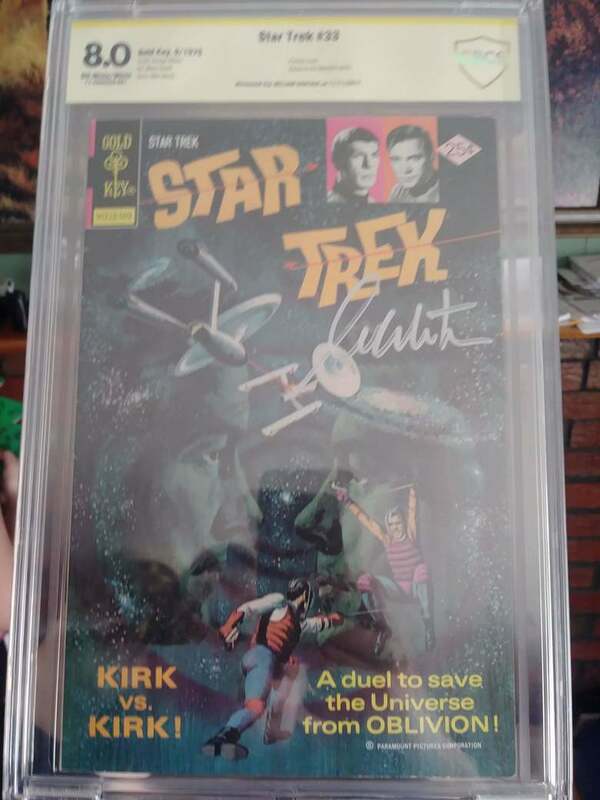 A friend of mine got this signed for me.Shatner was in Palm Springs shooting a movie and was good enough to sign my Star Trek #2. Not the best condition, didn't have a lot of time to find a good copy. That does not look like Bill's signature. I met Bill Shatner in 2011 at Emerald City Comic Con. I sent this to my dad one year I think in 2013-2015 for his birthday or Christmas or something I can't remember... Haven't seen the book since. 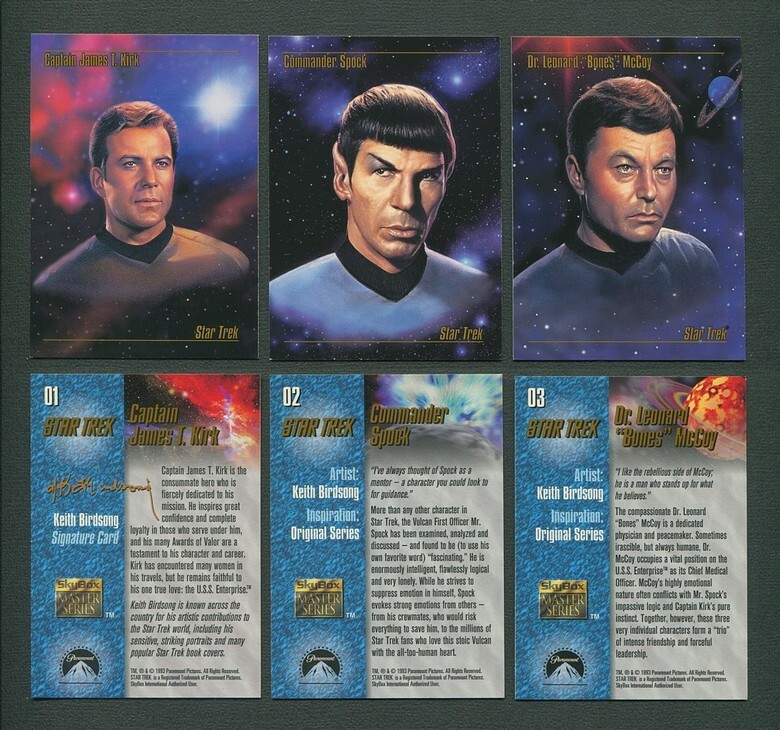 The 1993 Skybox Master Series has gorgeous painted portraits cards by renown Star Trek Artist Keith Birdsong. Kirk is card #1 in the set. As for the OP's original question, I believe the best book for Shatner's signature is the most expensive. 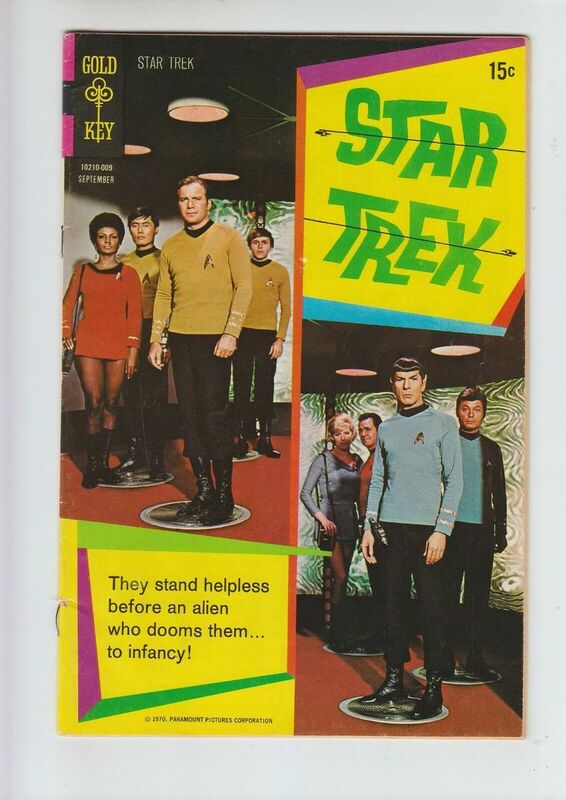 Gold Key's Star Trek 1. On the front cover or on the back cover which is a full photo of Captain Kirk. cant afford the dell number one. though I have tried. Technically, it is a Gold Key book. Gold Key split off from Dell taking much of their business. I'd suggest Star Trek 8 then. Very affordable. eBay has copies under $10 and nice solid copies are priced at $20. At shows where Shatner is signing, there are often one or more additional cast members attending. Koenig was at Louisville Super Con and will also be at Steel City Con. His signature is $40. Issue 8 is great for multiple sigs. I had him sign the one with the most Shatners on it I could find.